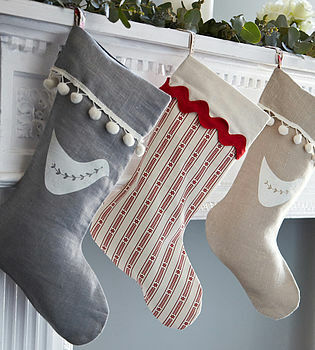 A beautful handmade scandi inspired Christmas stocking. 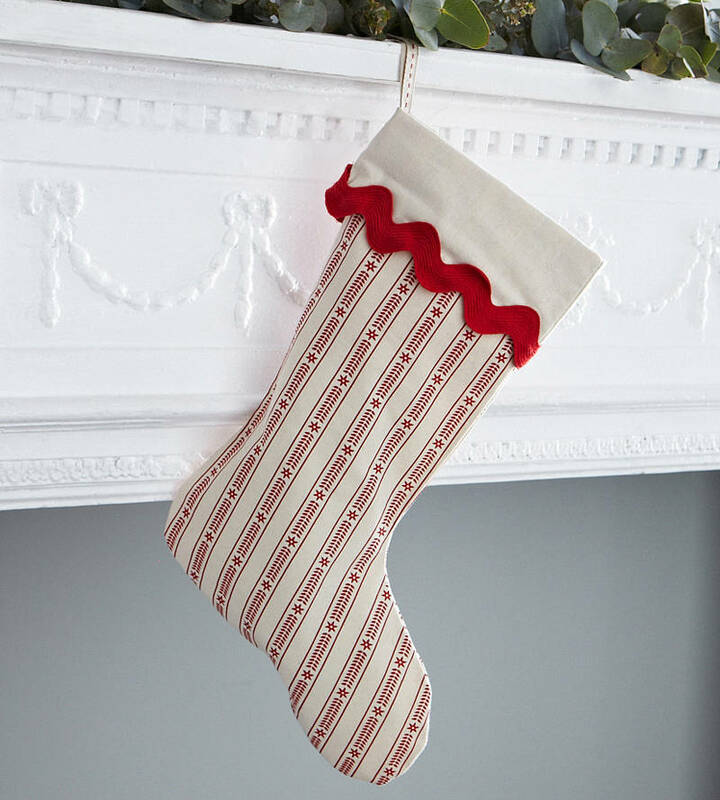 Perfect for those who love a classic look with a modern twist, this handmade Christmas stocking has a lovely scandi feel whilst the jumbo ric rac trim adds a touch of fun. With a little ribbon loop it can be hung anywhere from the bedstead to the mantle, perfectly poised for that visit from Santa! Made from printed cotton fabric and cotton ric rac trim. Gentle handwash only.